The UIDAI system enables users to lock and unlock their biometrics. Once locked, any attempt of biometrics authentication is restricted. The UIDAI or Unique Identification Authority of India provides an online facility that enables Aadhaar holders to disable biometrics-based authentication. This was said by the UIDAI, the issuer of the 12-digit identity Aadhaar number as well as the Aadhaar card, on microblogging site Twitter. The UIDAI has said that the service, called 'Biometric Lock', enables an Aadhaar holder to secure his or her biometrics data. Biometrics refer to the fingerprint and iris data of a user that is saved into the Aadhaar system for authentication purposes. 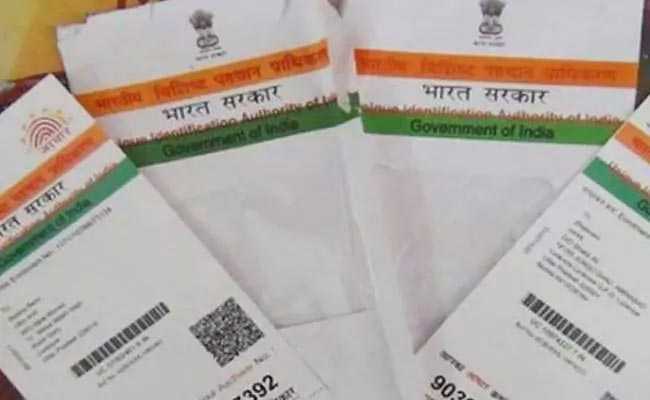 The biometric lock/unlock facility requires the user to be in possession of the mobile number registered with his or her Aadhaar, according to the UIDAI. According to the UIDAI, an OTP or one-time passcode is sent to the Aadhaar holder's registered mobile number, which enables him or her to log in to the online service. To further secure your biometric data in Aadhaar, UIDAI offers you the ‘Biometric Lock’ service. Watch this tutorial for the steps. 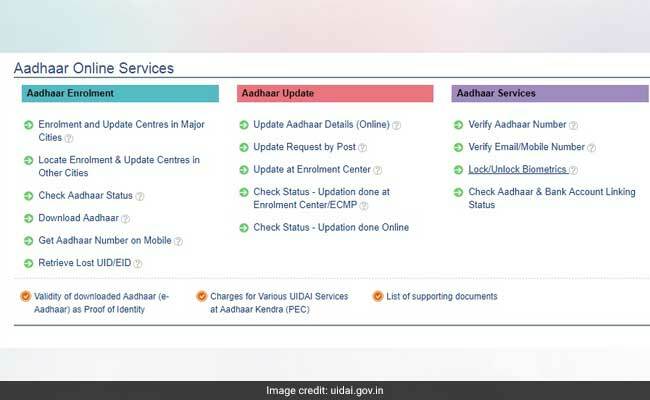 The service can be availed by accessing the UIDAI portal, can be done using a tool given on the UIDAI website - uidai.gov.in. The service can be found at the UIDAI portal homepage through the 'Lock/Unlock Biometrics' link. The facility enables the resident to lock and temporarily unlock their biometrics. "This is to protect privacy and confidentiality of Resident's Biometrics Data," the UIDAI adds on its website. Once locked, the use of biometrics for authentication is restricted against any attempt to authenticate the biometrics, "thus preventing potential misuse", it explains. 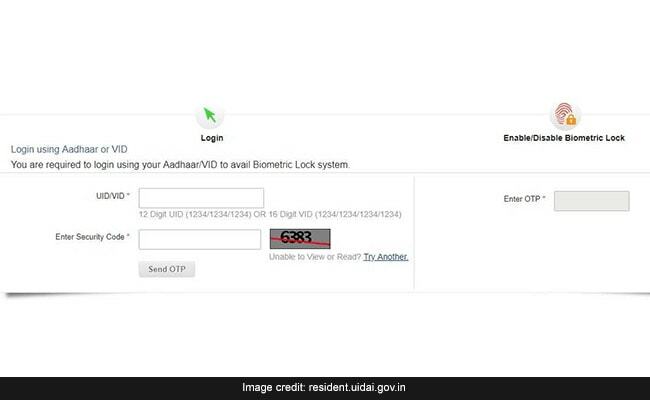 After clicking on the 'Lock/Unlock Biometrics' link, the user is led to the 'Lock your Biometrics' section, where the user can enter his or her 12-digit Aadhaar number - also known as Unique Identity Number (UID) - and the security code in the specified fields. Subsequently, an OTP is sent to the user's registered mobile number. This OTP must be provided in the specified field by the user in order to log in. 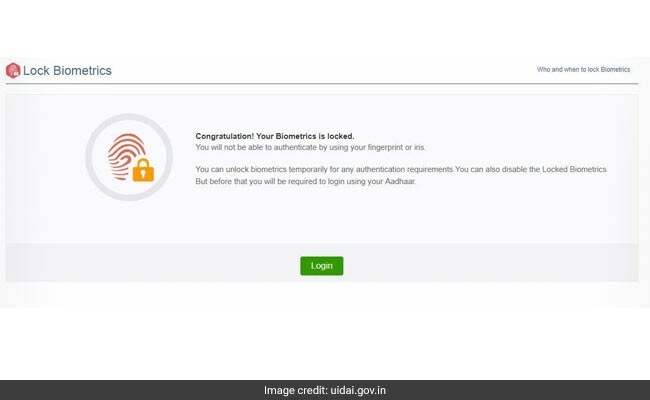 Once the user enables the lock, authentication through his or her biometrics-related information is restricted until the user disables the lock, according to the UIDAI website. For unlocking the biometrics, the user may log in to the UIDAI system through the process explained earlier. Once logged in, he or she may provide the necessary details such as security code click on the 'Disable' button to disable the biometric lock, in a process similar to the one to enable the lock. Once the lock is enabled, the user can either unlock it - temporarily - or disable the Locking System, according to the UIDAI. The UIDAI permits its registrars to charge a fee of up to Rs 25 (plus 18 per cent GST) for demographic or biometric update, the Aadhaar-issuing authority said while responding to a user's query on Twitter. If an Aadhaar Kendra or Aadhaar centre asks the user to pay more than the prescribed fee, the user can report it to the authority, according to the UIDAI. The user is required to provide the complete address of the Aadhaar centre, along with details such as name of the enrolment agent, the user's email address. "We have very strict rules against any corrupt practice in the system," the UIDAI added.